In a slightly weaker-than-expected month for car sales, Hyundai surged. 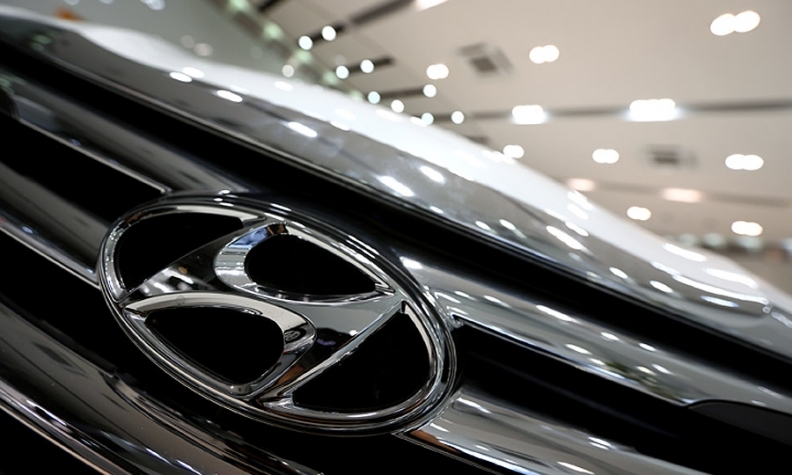 Korean siblings Hyundai and Kia, which combined are the seventh-largest seller of cars in the U.S., posted a 7 percent sales increase in February, giving the group a better result than any top-six automaker except Toyota. In a statement, Bob Pradzinski, vice president of national sales for the Hyundai division, said a strengthening economy made up for a bout of nasty winter weather. “With consumer spending and confidence continuing to grow at the fastest pace in years, customers bought Hyundais in record numbers,” he said. Sales of the Sonata midsize sedan rose 25 percent to 13,987 units, while sales of the Genesis luxury-car family rose 74 percent to 2,793 units. That included a near threefold increase for the Genesis sedan, which was redesigned last year, and weaker results for the Genesis Coupe, which rides on a different platform. Kia’s sales rose 6.8 percent in February as the brand benefited from strong demand for family haulers. Sales of the newly redesigned Sedona minivan quintupled to 2,362 units, while the Sorento crossover gained 18 percent to 8,518. Meanwhile, Mazda sales rose 5.4 percent. Most of its gains came from the Mazda3 compact car, which was the brand’s top seller at 8,874 units, up 22 percent. Sales of the CX-5 crossover fell 20 percent to 7,445 units. Sales of the Mazda6 rose 28 percent with a refreshed version of the midsize sedan headed to showrooms. Mitsubishi sales rose by 26 percent in February, the most of any brand but Mini, which posted a 51 percent gain. Sales of Mitsubishi’s Thailand-built Mirage rose 67 percent to 1,863 units. Mitsubishi said February was the best month of sales for the fuel-sipping subcompact since it arrived in the U.S. in 2013.